Enjoy the nature and culture in three countries! 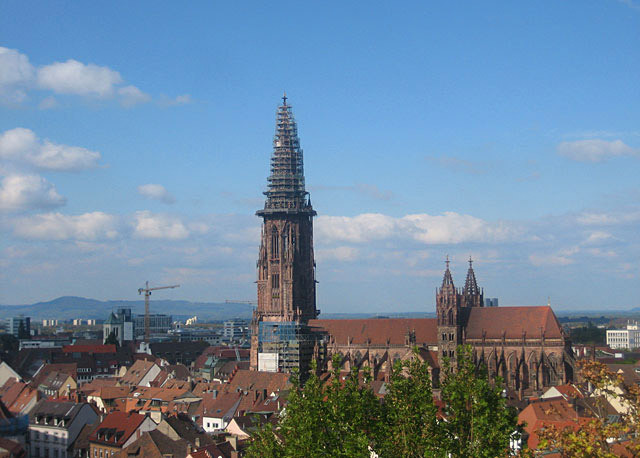 Freiburg is the gateway to the Black Forest and lies at the Baden Wine Route and the ‘Green Street - Route verte’, a tourist road that connects the Vosges mountains in Alsace to the Black Forest. 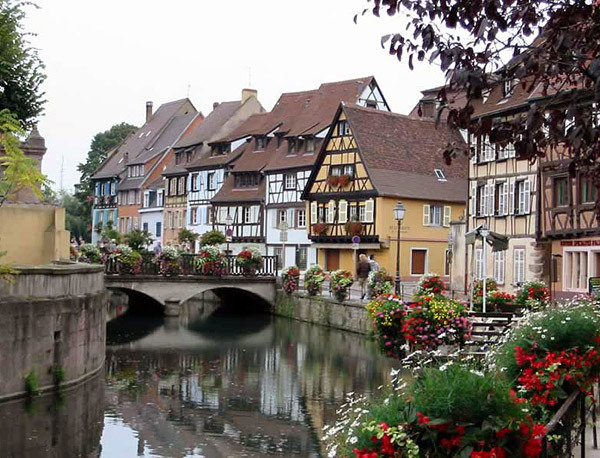 The nearest large towns are Colmar in Alsace about 50 km west, Basel about 54 km south and Strasbourg some 66 km north of Freiburg. With the 1284 m high summit of the Schauinsland in the southeast one of the highest mountains of the Black Forest belongs to the city of Freiburg. 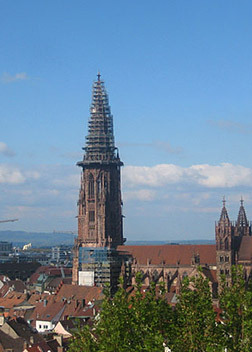 Wine-growing also plays an important economic role in Freiburg. 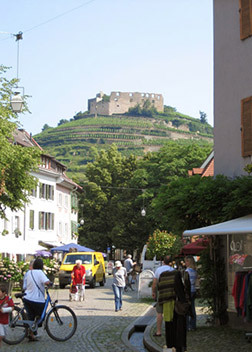 The town is bordered on three wine-growing areas of Baden: Markgräflerland, Tuniberg and Kaiserstuhl with different typical varieties. 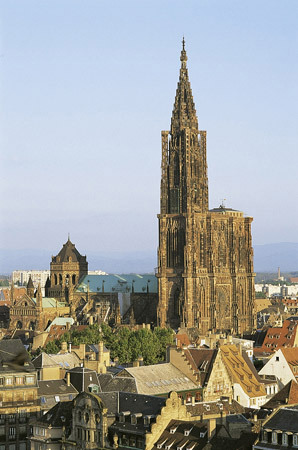 Many destinations in the region around Freiburg guarantee a day of pleasure. From the edge of the southern Black Forest, nestled in the vineyards of Markgräflerland, the Faust town Staufen overlooks the Rhine Valley to the Vosges. The magician and alchemist Dr. Faust once lived in these winding streets. He was summoned by the lords to produce gold. The historic inn "Zum Löwen" in the pedestrian zone, in which Doctor Faust once lived, is located on the market square. Staufen is famous for its historical old town with its romantic Bächle, alleyways, and the castle ruins – an all year round setting for large and small cultural events. The city shines with its many unique cultural and recreational activities. Whether swimming in the Rhine, an evening at the Schauspielhaus, or a boat ride back to Roman times, Basel offers unforgettable days out. 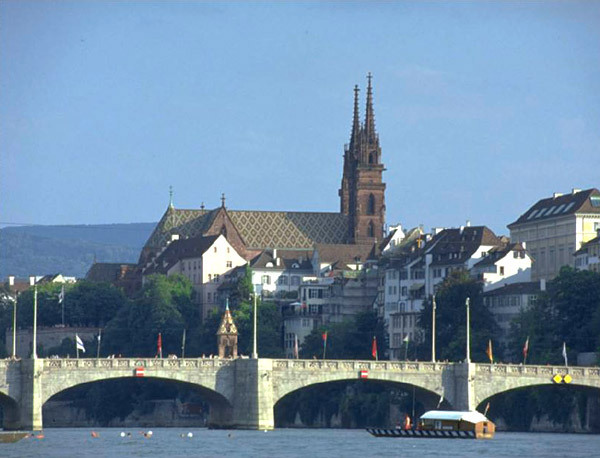 One of the landmarks of Basel is the river Rhine. Where in the summer life takes place on the banks of the Rhine – here called "Riviera". People, students as well as businessmen, stroll along the river, relax in the sun, enjoy the peace and gain new energy. 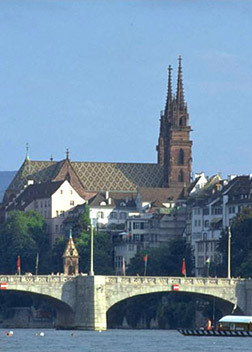 Basel awakens your appetite in the most various and delightful ways. 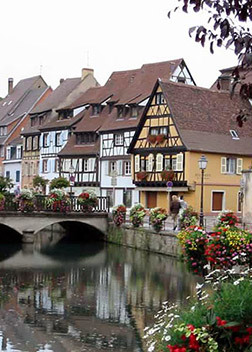 As the center of Alsace, Colmar is situated between Strasbourg and Basle, between the Vosges and the Rhine. The pedestrian zone - one of the largest in Europe - allows visitors to discover and admire the endless riches of the cultural heritage, which cover the time from the Middle Ages to the 20th Century. When you walk through the streets you can view the many beautiful shop- and inn signs and also the roofs with their colourful mosaic. Or you can stroll along the Quai de la Poissonnerie. The center for fishing and fish sales was once situated in this picturesque neighborhood which is called Little Venice, Petite Venise. 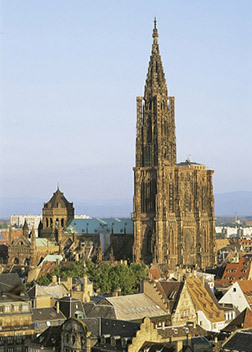 The seventh largest city in France is the "capital of Europe" and of the Alsace and is one of the most beautiful cities ever - not least because of its phenomenal cathedral with its extraordinary decorations. It is a young city that offers a perfect balance between historical heritage and dynamic economy. Admirers of fascinating historic buildings, good restaurants and culture have all chances to fall in love with Strasbourg. The most important places and monuments such as the Cathedral, the House Kammerzell or the tanners' quarter are located in the center surrounded by the Ill. Thanks to the diverse and rich cultural heritage the entire city center was named a Unesco World Heritage Site.